Baidu has created a virtual version of "turn your head and cough." 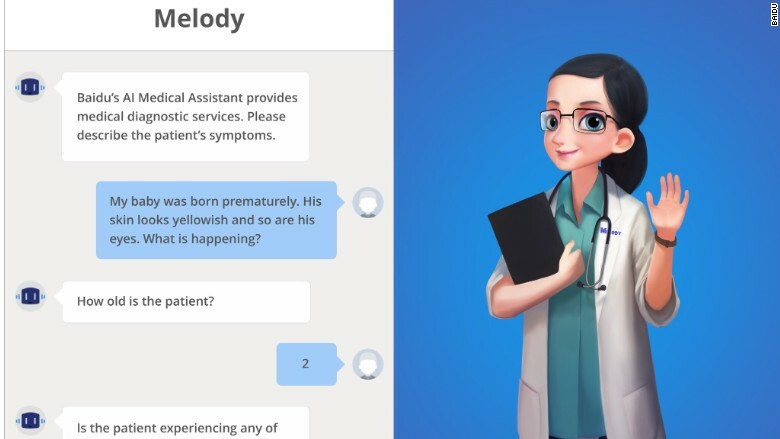 The Chinese search engine launched "Melody" on Tuesday, a chatbot that uses artificial intelligence to help doctors care for patients over text. Baidu (BIDU) aims to make medical consults more accessible and help patients determine whether or not they should see a doctor in person. For instance, if you tell Melody your child is sick, it might ask whether she has a fever or is jaundiced and follow up with additional questions. Melody integrates with the Baidu Doctor app, which already lets patients ask doctors questions, make appointments and search for health information. Melody asks the patient preliminary questions and pulls data from digitized textbooks, research papers, online forums and other healthcare sources. 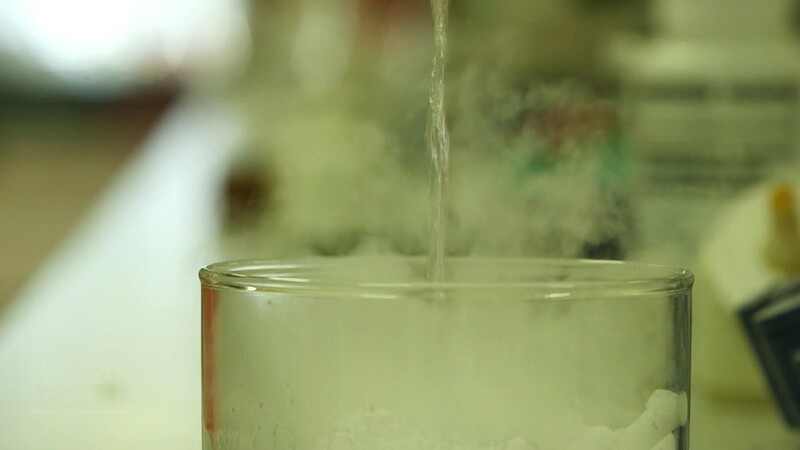 The app produces a hypothesis regarding treatment options that a human doctor edits and sends to the patient. The self-learning bot will continue to sponge up information and improve conversation as time goes on. Andrew Ng, Baidu's chief scientist, says it's just the beginning of AI-driven healthcare. The bot logs patient interactions, but the company says the data is encrypted. Relying on computers for something as fragile and important as health is becoming a common practice. IBM Watson Health lets doctors and medical workers quickly access troves of data that can assist with puzzling patient problems. Efforts include putting the brainpower of oncologists directly in an app to consult for diagnoses, and imaging tools that can help read X-rays. As mobile adoption grows, telemedicine is becoming a viable alternative, especially in communities without access to physicians or among patients with limited mobility. It's expected there will be a global health worker shortage of almost 13 million by 2035. Asking computers for help may not always benefit patients. Baidu was recently ordered to change the way its search engine displays results when a student died after visiting a provider at the top of the list. Regulators ruled search results were not labeled properly and favored advertisers. People shouldn't worry that AI is replacing humans in healthcare. Instead, it could begin to build more robust patient profiles before a person speaks to a doctor virtually.